Consider the type of carpet the vacuum will be used to clean. Low-pile carpet might require a different vacuum than high-pile, residential carpet. Assess what type of debris the vacuum will pick up. 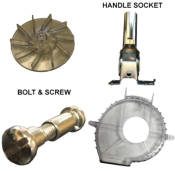 If you are picking up metal material such as screws or other hard bits, you will need to consider that when selecting a commercial vacuum cleaner.